Next Generation: Brandye Merriweather of Buffalo Urban Development Corp.
Brandye Merriweather, a Buffalo native and granddaughter of the founder of the Criterion newspaper, is vice president of downtown development for the Buffalo Urban Development Corp., a nonprofit organization affiliated with the city. She oversees the Buffalo Building Reuse Project, which provides low-interest loans for facade improvements and adaptive reuse of underused buildings. In that role, she focuses on infrastructure and streetscape projects that enhance downtown through new park space, links with the Medical Campus and waterfront, and other amenities that will create more of a “neighborhood feeling.” She also directs the Queen City Pop-Up retail program to offer temporary free storefront space along Main Street in a bid to encourage entrepreneurs and bring more stores downtown. 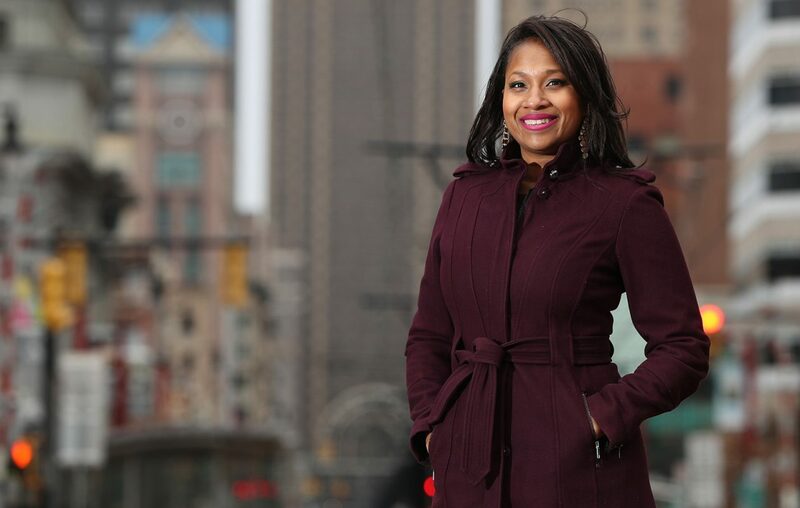 Merriweather, who grew up on the East Side, got to know the city’s businesses and commercial corridors while selling ads for her family’s newspaper. She earned a degree in fashion technology, but parlayed her experience into her first job, working for the city’s Buffalo Economic Renaissance Corp. and Buffalo Urban Renewal Agency to help neighborhood stores and business districts before joining BUDC six years ago.